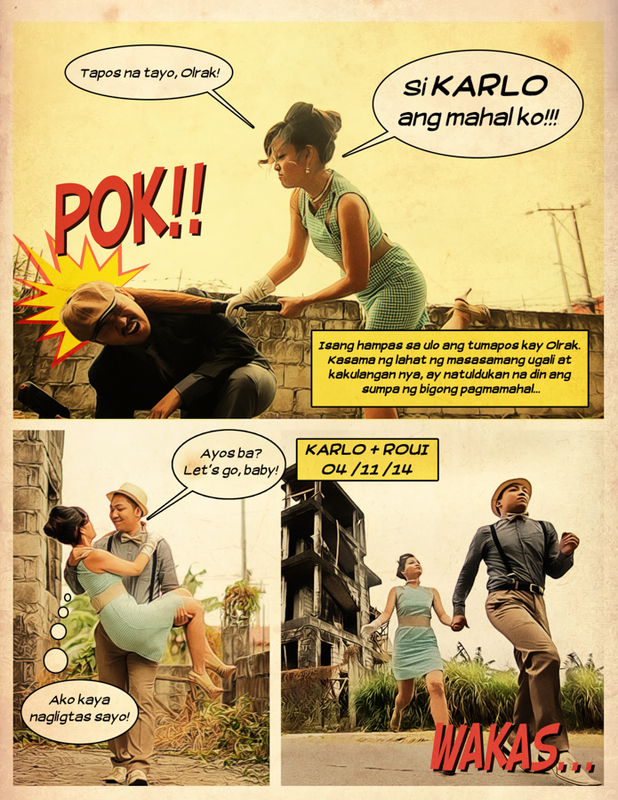 Roui and Karlo are back for the 2nd installment of "Tatapusin Ko Na", their own 80s-inspired comic strip engagement photoshoot! If you missed part I, you can check it out here ! We hope you enjoyed "flipping" through these pages as much as we enjoyed making it! To all our future wedding couples, don't be afraid to step outside the box and explore ways to enjoy your engagement! Just tell us what you have in mind and we'll do our best to make it happen! Again, congratulations to Roui and Karlo! We'll see you guys on your big day!